Custom 8 pack hot chocolate box guaranteed to wake up your clients. 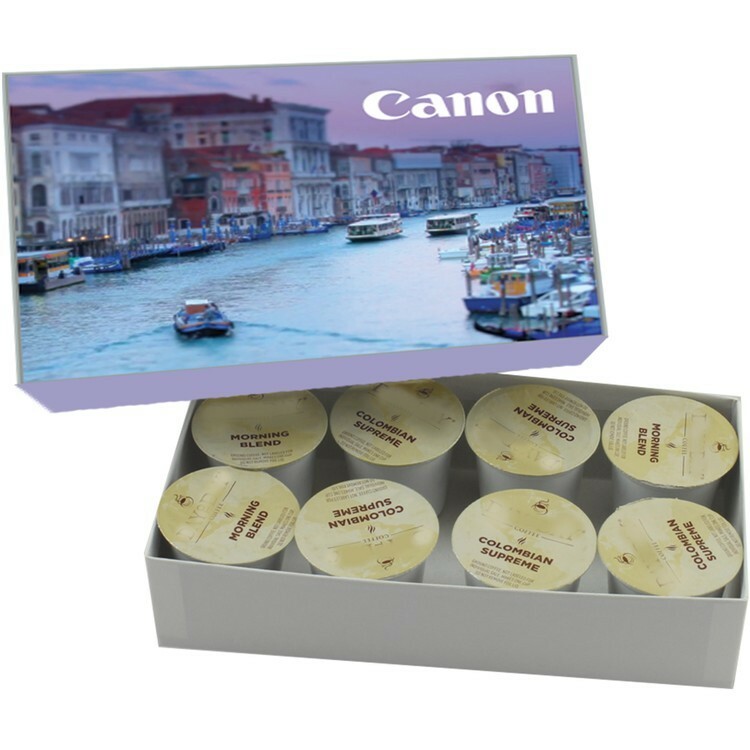 Place your design on this 8 pack hot chocolate box and give a shot of energy to your brand. Price includes 8 single serve hot chocolate cups without decal.